You should really check your facts and look at the app before complaining about it. Yes they urge you to the VOD version of the shows, but you can access the DVR versions if you desire. If you have added a show to your library so it gets recorded when you go to view it you can find the episode and next to it is a downwards pointing carret. If you tap that it expands to show the episode description and just below it is a list of options for the show where you can select the VOD or any DVR versions you have recorded. I am not sure why you are so opposed to YouTube TV, it isn’t perfect but it is leaps and bounds above traditional cable. But so far most of your reporting about it has been false. We paid Cable $30+ per month for Network “over air 1-13 free tv” essentially paying for transmission of broadcast. Now with YouTube TV we get access to more sports and second tier networks Without an online channel guide. We are still paying $30+/month AND are paying Cable fees for transmission. IMO YouTube is double dipping and the ads during movies brings me to dump the idea of watching a movie and go straight to Netflix. Yes 6 users is a feature, but my kids can watch what we record as a family. Fast forwarding or skip an ad after 5 sec because I have no interest, is a must. Not true Daniel. Although some will allow the choice, most will restrict viewing to VOD with adds. NBC is the worst. You can use the DVR is the show is still airing, but changes almost immediately to VOD only. Although I love my youtube tv, the new recording feature of Directv Now does not force you to VOD version (at least not yet). It may be the feature that forces me to go to go back. I decided to pay for YouTube TV because it costs the same as the electrical cost of running my homebuilt DVR (windows PC) 24×7, and provides more functionality. However, I REFUSE to be force-fed adverts. If I cannot skip ads for the few TV shows I care to watch, I will cancel my subscription. Make no mistake, there are many thousands of subscribers who will not go back to having 18 to 20 minutes out of every hour wasted with adverts. Exactly. Especially when those shows are almost always released on a different streaming service in time and are often uploaded to the internet shortly after. Televised advertisements are the past and the generation of the 90s on won’t accept paying for 3 minutes of nonsense for every 10 minutes of showtime. F**k ads. What’s the Big Deal here, y’all? Watching TV on Cable, Satellite or Other Independent sources ALL have ads to view a program. Why the Fuss , no, MADNESS!, over a couple of ads, (with Timers included!)? It STILL does NOT compare with buying Cable from the aforementioned providers with 3 minutes of ads every 10 minutes per show you’re watching. The PAID channels do NOT include ads, as usual. YouTube TV (Including it’s YouTube Red service that’s Included Gratis) is Fantastic for my household’s needs and those I’ve Shared it with [as mentioned, a total viewer count of 6 ( SIX! ) ] Individual Viewers with, again as mentioned, UNLIMITED Recordings of TV and Movies INCLUDING any extras you might choose to buy on the side (HBO, Showtime, Netflix, Hulu, Prime … the List goes on and on including Many Horror channels, LOVE My HORROR!, that are Free except for the fun horror channel “Wicked” for $10/year!!!!!) that have their own differing advertising services. As you can tell I’m a BIG YouTube TV Fan and Devotee. I’ve given tries with DirectTV, Sling (Orange, Blue and combined), Uverse and Spectrum. 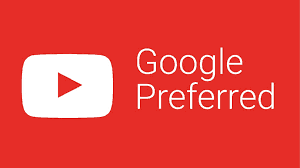 I found that YouTube TV filled my preferences the best … and by Far. I DO have a Netflix account joined with it. You want no ads? Pay the service that includes that option and without the Unlimited DVR, ad countdown, low price and wide coverage WITH local TV which also includes the “traditional” grid/timing listing. Geez … YouTube TV is a no-brainer that is thew Only Choice that includes YouTube Red, which is Really starting to build a great original programming service and as a near-future competitor to other Paid Services that had a head start in this field. With Google making well over a $100 Billion profit each year there’s Plenty of room for YouTube Red becoming a True Stand-out Service in its’ own right. liveTexas, how much did YouTube pay you for that ridiculous post?